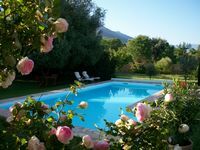 To contact directly the La Villa Casale , please use the below form, An email with a link to this page will be sent to the provided email address. 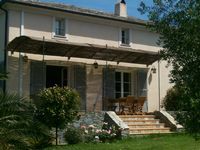 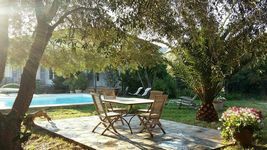 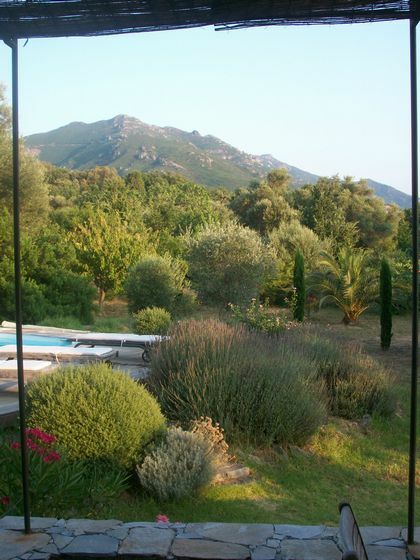 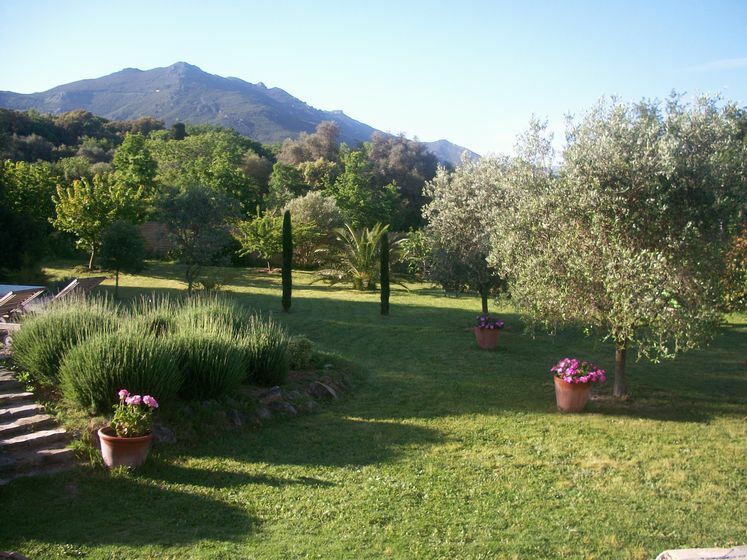 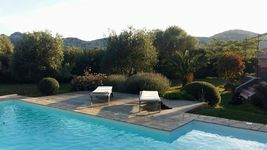 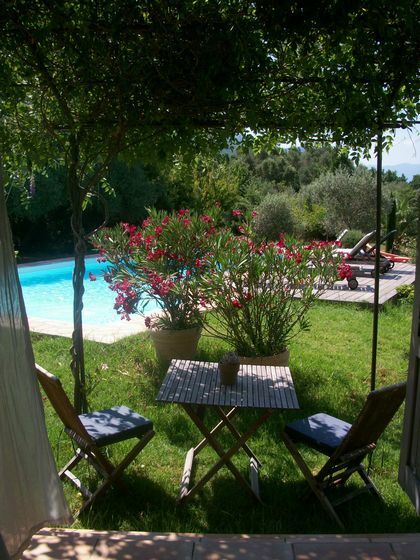 It is 5km from the beaches of Saint-Florent,in a property of 3000m2 planted with olive and orange trees lies the Villa Casale. 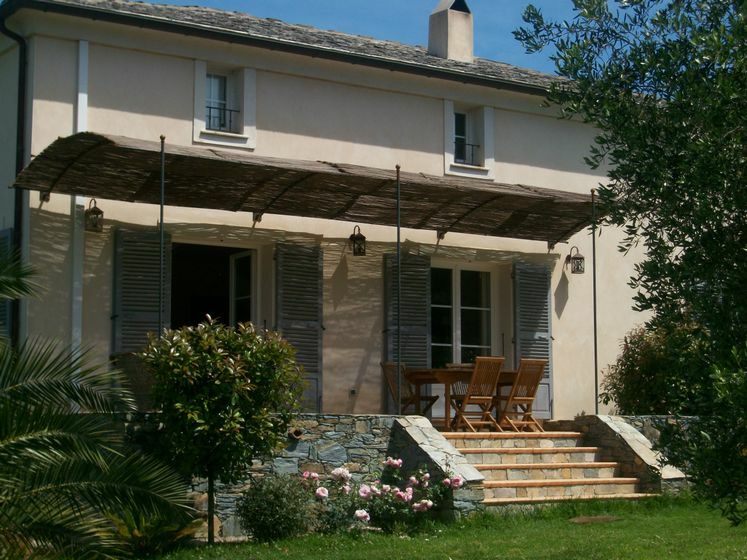 Located in the heart of the village of Patrimonio famous for its vineyards, down below a Roman church, this building over 200m2 was built in compliance with local architecture. 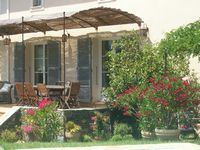 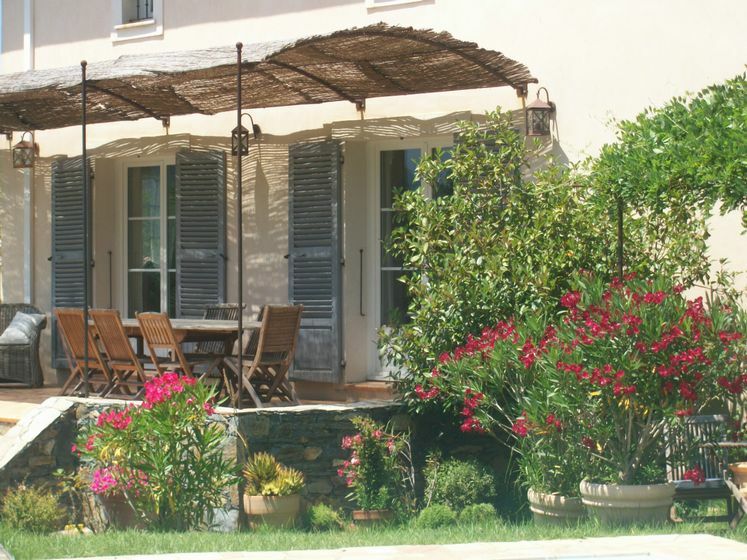 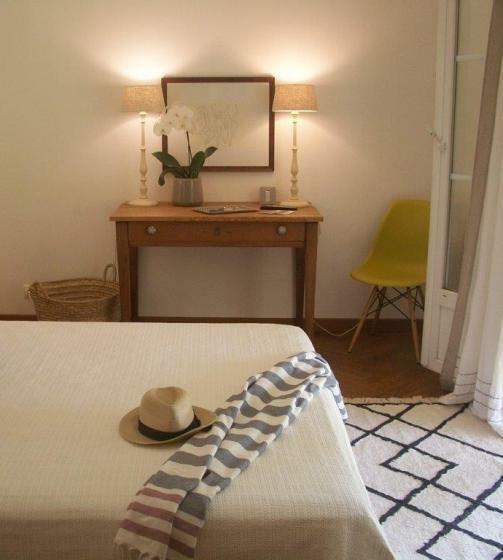 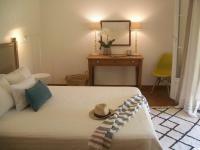 The villa offers a room for rent calm and serenity for our guests guaranteed, ideal for a romantic getaway! 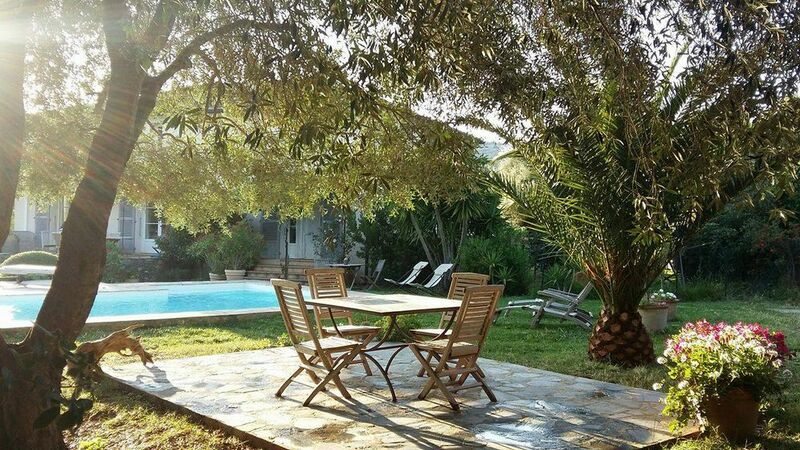 If you choose the breakfast option, it will be served at the poolside in the shade of olive trees ... In the room of 15m2, oak flooring,antique furniture and cupboards, chic and sophisticated decoration, double sinks, tub and walk-in shower in the bathroom 8m2 with glazed earthenware tiles ... 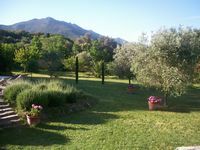 In total an area of about 30m2, which is only for you!